My goal is to run between 1,000 to 1,200 miles a year. As my wife and I get older we consider it our “medicine.” Today I am right on track even though I have a torn meniscus in my knee. I have an appointment on May 23 (when I return from Israel) to get orthopedic surgery to repair my knee. It will be my first surgery ever in my life. Even though I can’t run, I can still do “brisk walking” which enables me to keep up my miles without doing further damage to my knee before surgery. Yesterday I took a brisk walk around the Walls of Jerusalem. I took a lot of pictures and videos along the way and charted it on a map through GPS. 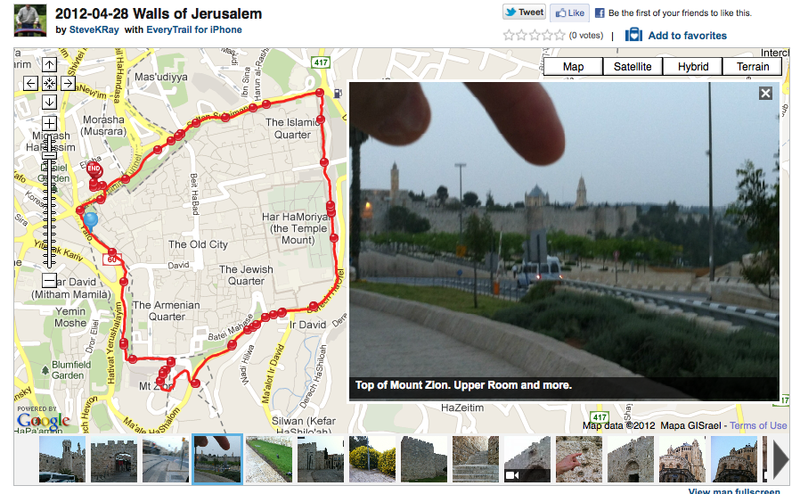 You can see the run and enjoy it for yourself – a virtual run around the Walls of Jerusalem.